198 years ago today the largest ever political gathering in this country took place in St. Peters Field, Manchester. The protesters had gathered to hear a firebrand speaker, Henry Hunt, demand parliamentary and social reform. Before he could finish his speech, in an egregious act of Class warfare laid bare, the 60,000 peaceful protesters were charged by cavalry on the orders of the UK establishment. The first victim of Peterloo was William Files from Kennedy Street Manchester. The 2 year old boy was knocked from his mothers arms by a cavalryman galloping along Cooper Street. William was trampled to death under the horse’s hooves. At the time of the speech the working class had no rights, factory owners had cut wages by 2/3s, which combined with the corn law tariffs left the working classes facing famine. Many came to the conclusion that no country worth the name would be run in such a foolish way. At this time the people lacked parliamentary representation. The millions in the Lancashire mill towns were represented by just 2 members of Parliament. Manchester itself had no member of Parliament. This was a time when the vast majority of our people were subjects, not citizens. The disdain for true, representative democracy that we see in our political establishment today has deep, strong roots. Such inequalities as these were fuel to the fires being stoked by radicals, who gained working class support. Seeing the large, thronging crowds pooling at St. Peters field, the Chairman of the local magistrates was scared. Filled with fear by the response Henry Hunt had received, the magistrates simply didn’t believe that working people could gather without there being trouble – so they sent the constables in to arrest the people on the platforms. He also sent in the Yeomanry to clear the way, and it was they who began hacking at the peaceful crowd. The Yeomanry were completely untrained. They had been drinking at lunchtime one was said to be “too drunk to ride his own horse”. They were essentially amateurs who took on the role for social standing – as they were also property owners and factory overseers. On their way to the platform they got stuck in the massive crowd, and started to lash out. The result was a stampede of people in all directions. Seeing that the Yeomanry were not going to get out, the Chairman of the local magistrates ordered in the Hussars Cavalry to go and ‘clear the field’. As well as the deaths, hundreds were injured. 30 years after the French Revolution many correctly thought that the Britain’s property owning system of government was outdated, inefficient & corrupt. Reform groups started all through the country – and Peterloo was the crescendo of this reforming zeal. This is a powerful statement – just as at Orgreave, just as at Hillsborough, just as in 1984-85 during the miners strikes, the government were willing to action violence on their own people to maintain their own position. They told the local magistrates that if they couldn’t put the protest down by legal means, then they should put them down by unlawful force. Peterloo shows that there will always be change. If the change that is needed is responded to by the government with force, that force will feed the fire of change, and quicken the change of the government. There have been many speakers like Henry Hunt since Peterloo. 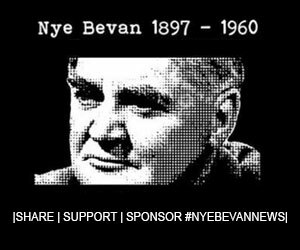 One of them, Aneurin Bevan, founded the NHS. Another, Tony Benn, carried the torch of socialism through the dark years of Margaret Thatcher & through the murky world of Blair. Today – in the leader of The Labour Party and Leader of the Opposition Jeremy Corbyn – the working people of these Islands, for the first time in their History, have the chance to make someone like Henry Hunt, who the establishment were determined would not be heard, our Prime Minister. Previous articleWhy has the BMA always opposed the NHS?